Jennifer has been an active Broker for over 24 years. She became a State Licensed Appraiser in 1993. Jennifer graduated from Murray State College in 1992. 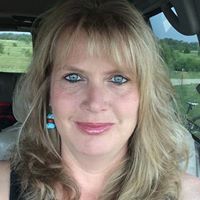 She has served on the Southern Oklahoma Board of Realtors in several officer capacities and on many committees, most recently as the chair of the Appraisal Committee for the 2015 Board. Jennifer is very knowledgeable in all areas of real estate. Call Jennifer for a 1st class real estate experience!